"She was the only one brave enough ... she climbed the wood pile and stood there — taking in the big world." 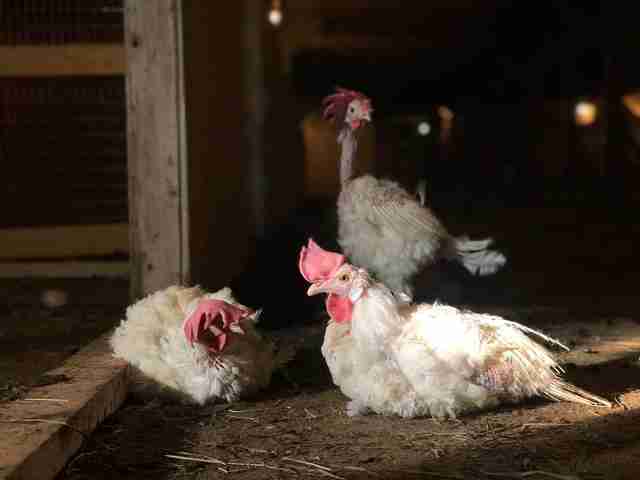 Until just a few weeks ago, three nameless chickens had only ever understood life as something that happened in tiny cramped cages with little air and little light. 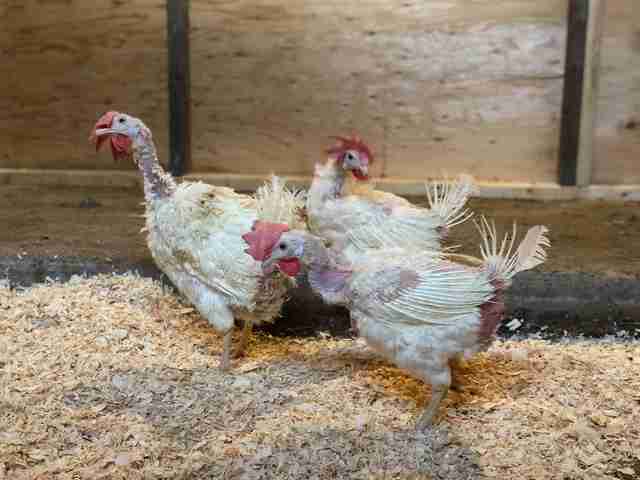 That's because these hens were "battery hens." 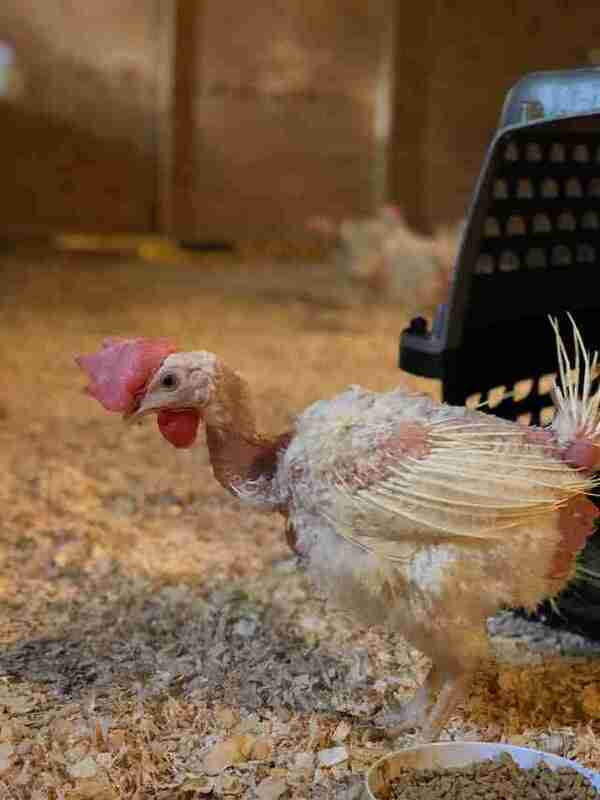 They were born inside in a large farm and then spent their lives laying eggs. They didn't know what it was like to even have enough space to stretch their wings. 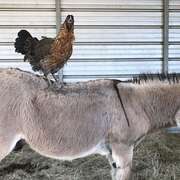 "[A battery farm is] an egg farm where they keep five to six hens in [each] extremely small cage," Megan Mostacci, cofounder of Black Goat Farm and Sanctuary, told The Dodo. 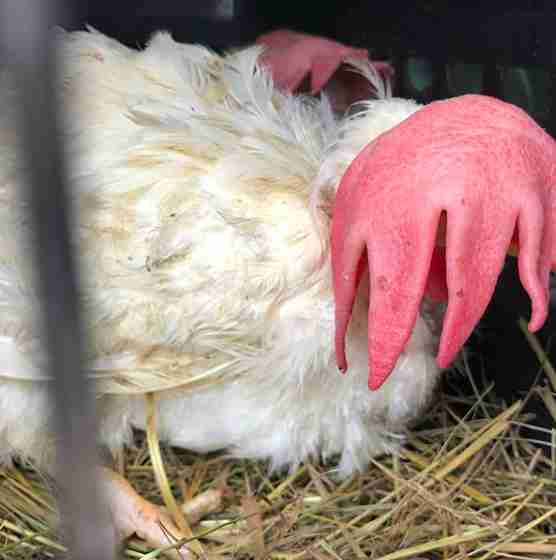 "They have no room to walk or stretch their wings and stand on a wire bottom." 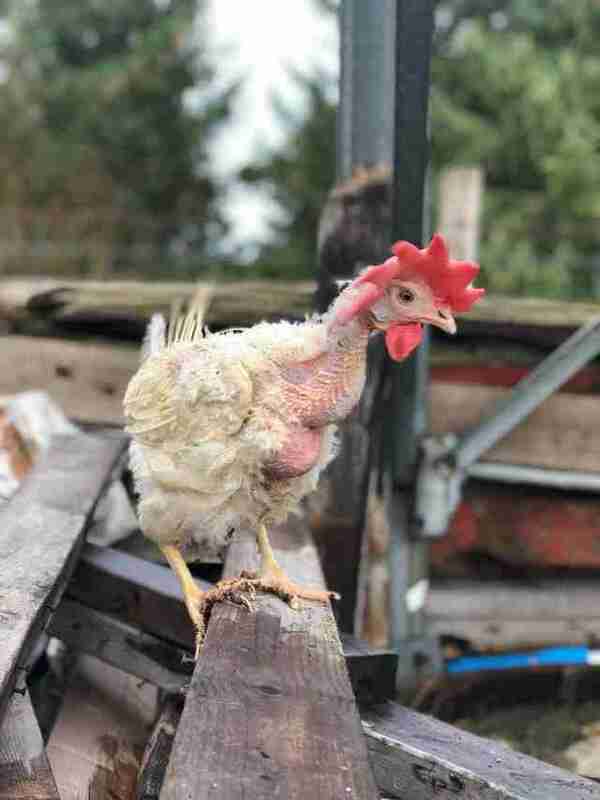 Now named Sophia, Rose and Dorothy (after characters on the TV sitcom "The Golden Girls"), the hens were rescued by Mostacci in September and are starting to learn that the world is full of things they had never known before. 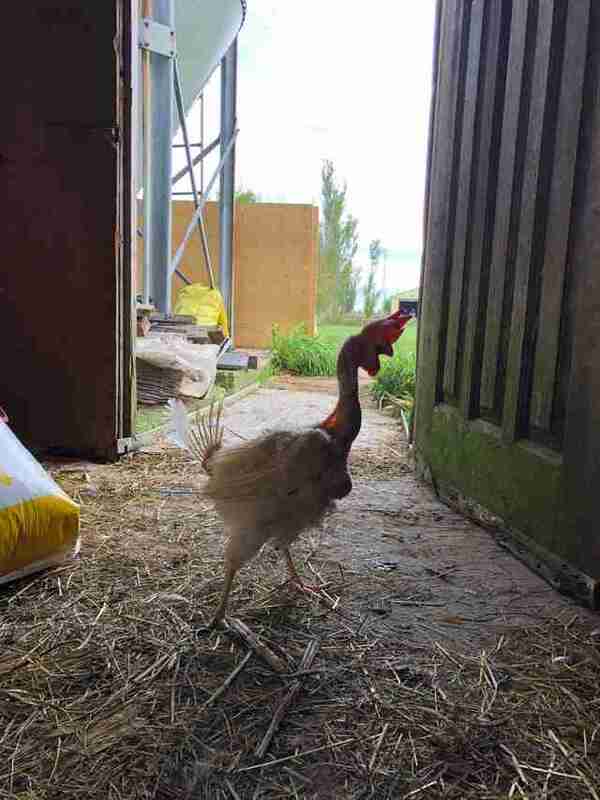 Just taking their first steps into a larger barn at the sanctuary was already a huge change. "When they came home they didn’t want to leave the carrier I had them in," Mostacci said. "They had never been out before." Mostacci had a unique opportunity to adopt this trio. 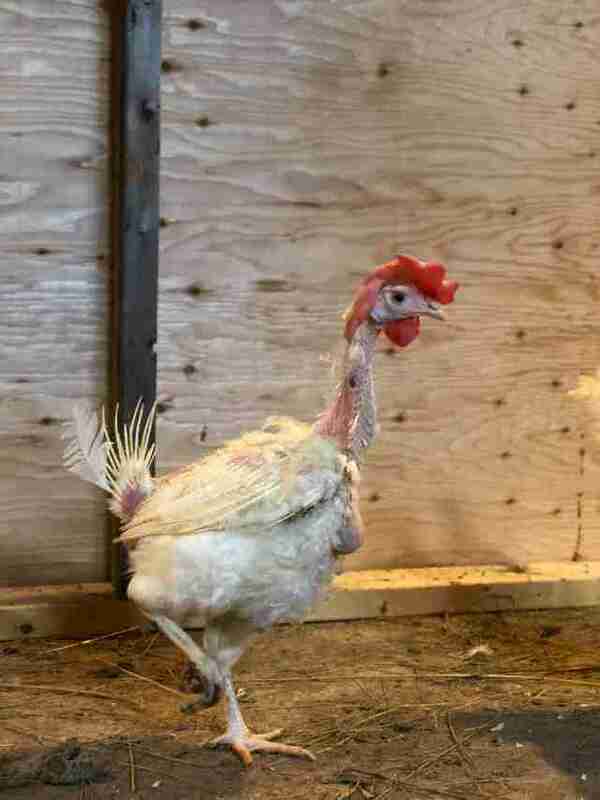 Usually, after about a year in the cramped battery cages, hens like Sophia, Rose and Dorothy are swiftly sent off to slaughter. "At 18 months old they stop laying as many eggs as they used to," Mostacci explained. "The farm ships them all to be killed and gets in new ones." 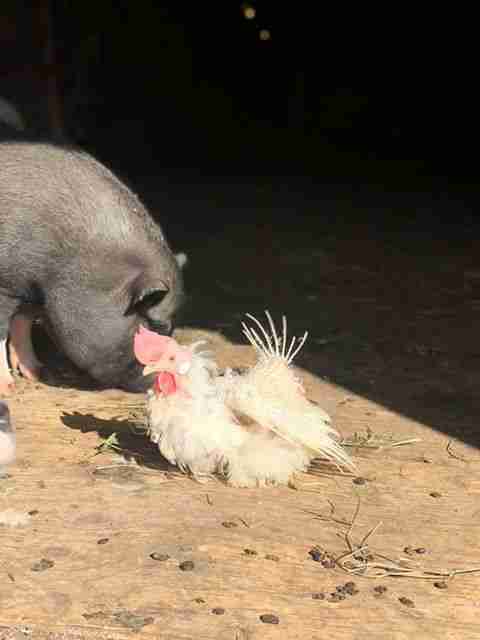 Through another sanctuary, Mostacci heard about one farm that allows the hens to be adopted out to anyone who has homes for them. That's how Sophia, Rose and Dorothy got the chance to really live. So Mostacci had to convince The Golden Girls that their lives weren't over, but were actually just beginning. "It took a while and they did come out [of the carrier]," Mostacci said. "Little Sophia was first out the door!" Soon, Rose and Dorothy followed, if with a little more trepidation. "I had put down lots of fresh shavings and they had no clue what to do," Mostacci said. "They walked so weird because they weren’t used to being able to walk. They were so weak too. They would flap their wings (they would never have been able to before) and fall over." When the possibility of being outside for the first time presented itself a few weeks after their arrival, The Golden Girls seemed overwhelmed. But Sophia proved to be the bravest of them all. Rose and Dorothy stood there watching as Sophia took her first steps outside. "She was the only one brave enough at this time to venture out," Mostacci said. "She climbed the wood pile and stood there — taking in the big world." 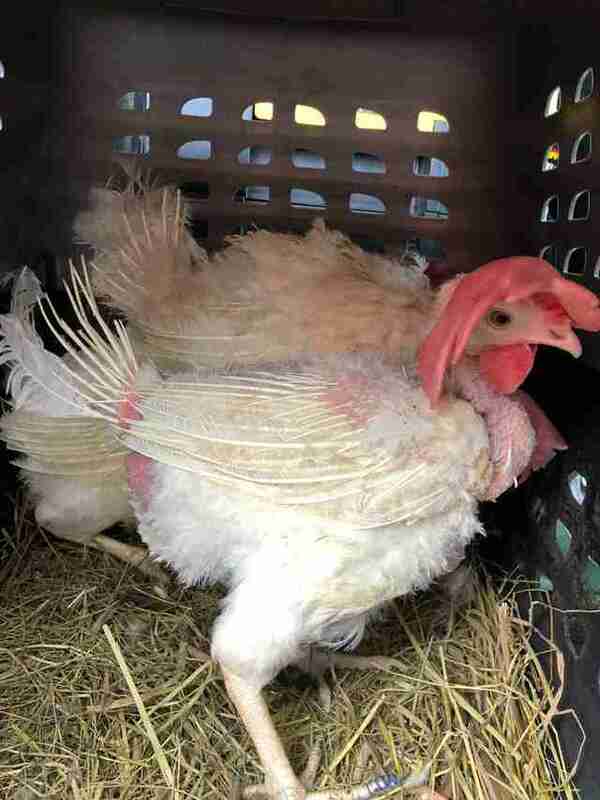 Their incredible good luck made the hens a bit disoriented for good reason. They weren't used to being given so much freedom and treated so kindly. "I brought them treats and all sorts of stuff but they didn’t understand it was food," Mostacci said. 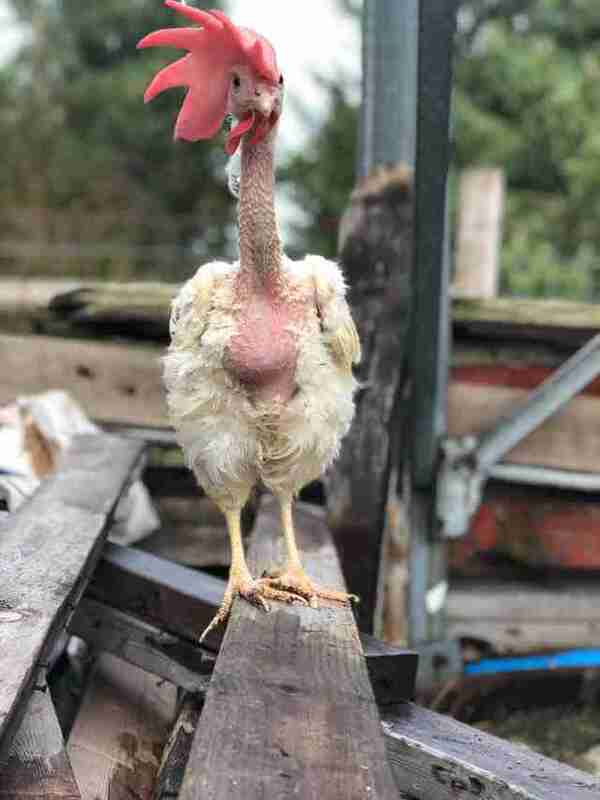 At a very young age, like all battery hens, the tips of their little beaks were burnt off so that they couldn't break the eggs they lay. Now that Sophia, Rose and Dorothy are settling into their fortunate new lives, their past is becoming a distant memory. The Golden Girls have discovered several things they enjoy about life. Lying in the sun is certainly one. "They are still shy with [going] outside but love the feeling of sun," Mostacci said. 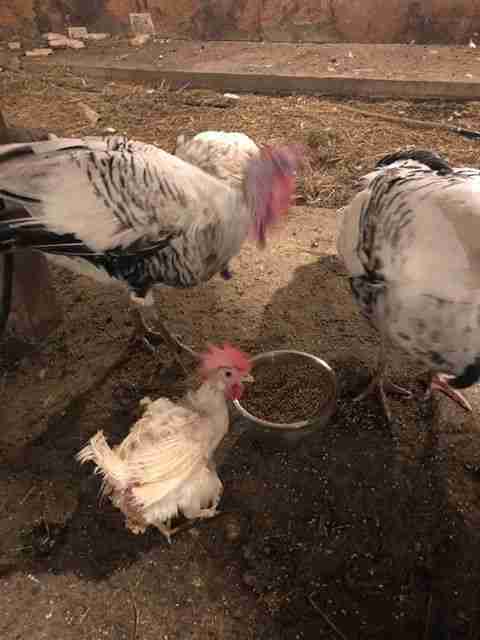 Stealing food from the rescued turkeys is definitely another favorite thing. "Sophia has no issues pushing our big turkey boys out of the way so she can eat first," Mostacci said. It's taken some time, but it finally seems to be sinking in for The Golden Girls that they have nothing to be afraid of now. "Their feathers are growing back. They are walking normally," Mostacci said, "and they are so feisty!" You can congratulate Sophia, Rose and Dorothy on their beautiful new home by making a donation to their care.